DIFFERENT SKIN TYPES. DIFFERENT NEEDS. 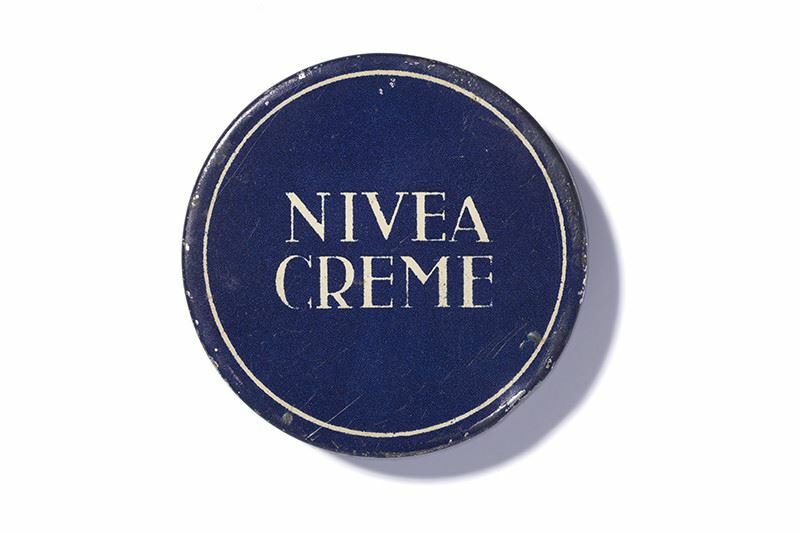 NIVEA Creme tin 1988 with the addition of “no preservatives"
Before NIVEA Creme's success story could begin, something entirely different had to be invented – Eucerit. Eucerit acts as an emulsifier and combines oil and water into an extremely fine, stable mixture. 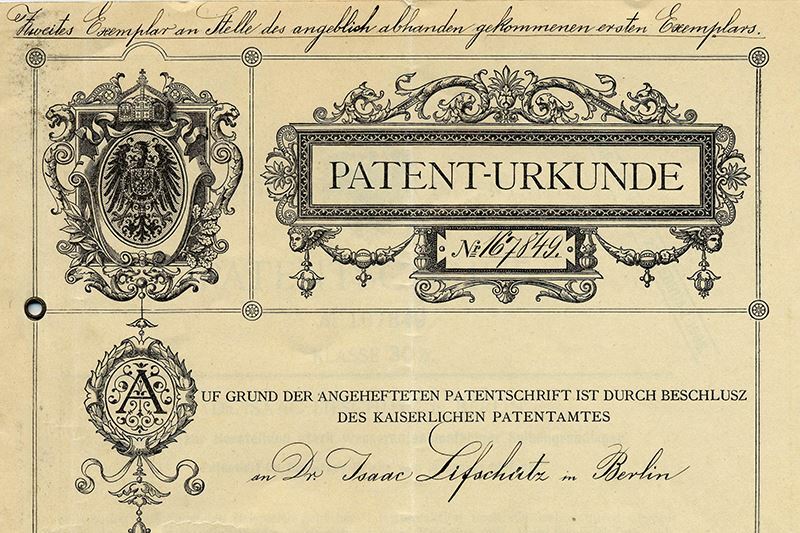 Fortunately, Dr Isaac Lifschütz had developed this completely new emulsifier by 1911. 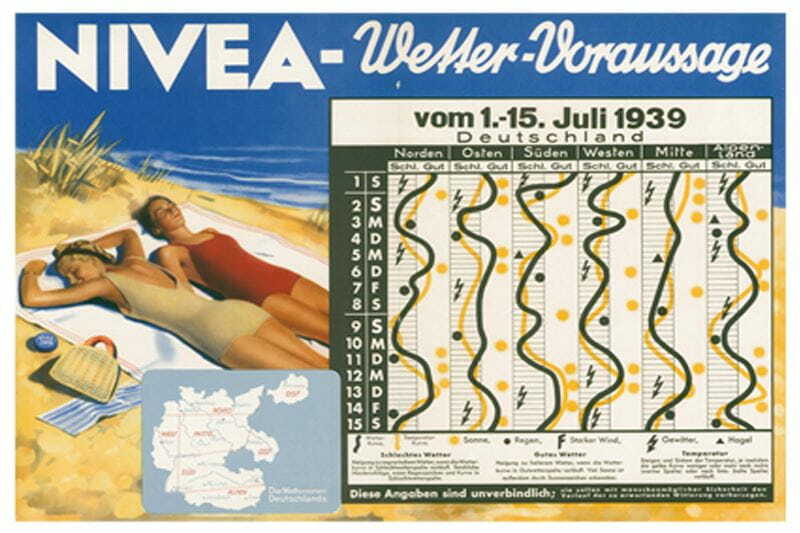 Dermatologist Professor Paul Gerson Unna admired Dr Lifschütz’s specialist knowledge in this area and presented it to Dr Oscar Troplowitz, chemist and co-founder of Beiersdorf. 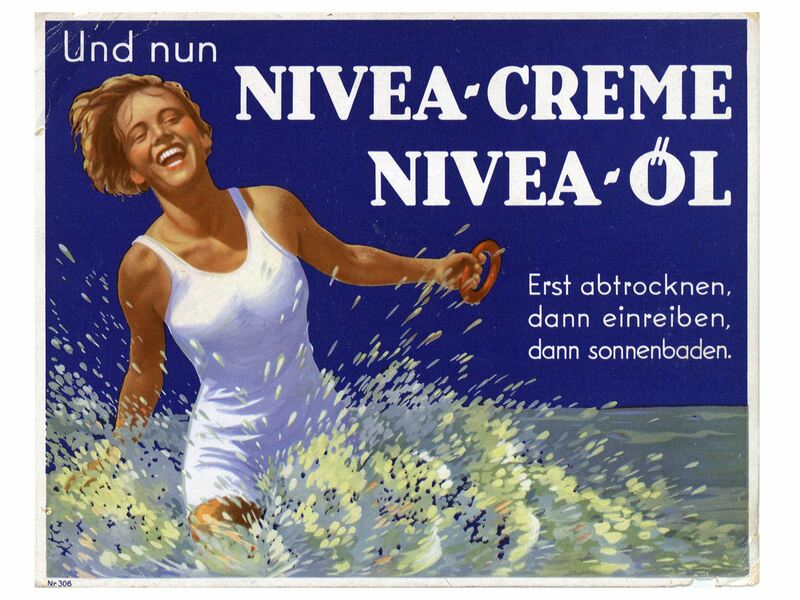 The latter immediately realised that the water-in-oil emulsion would form the perfect base for a cosmetic skin cream. All they now needed was a name. 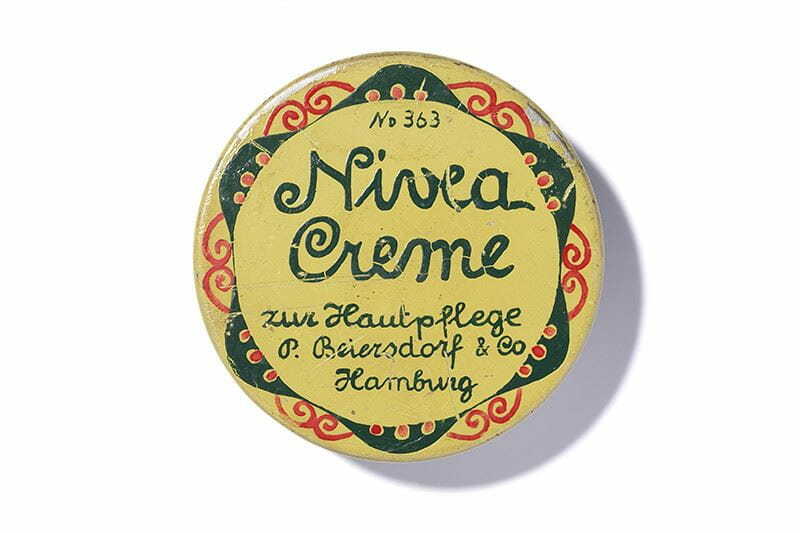 And to find one, Dr Troplowitz needed to look no further than the cream itself. Once the emulsion was finished, it had a snow white colour. 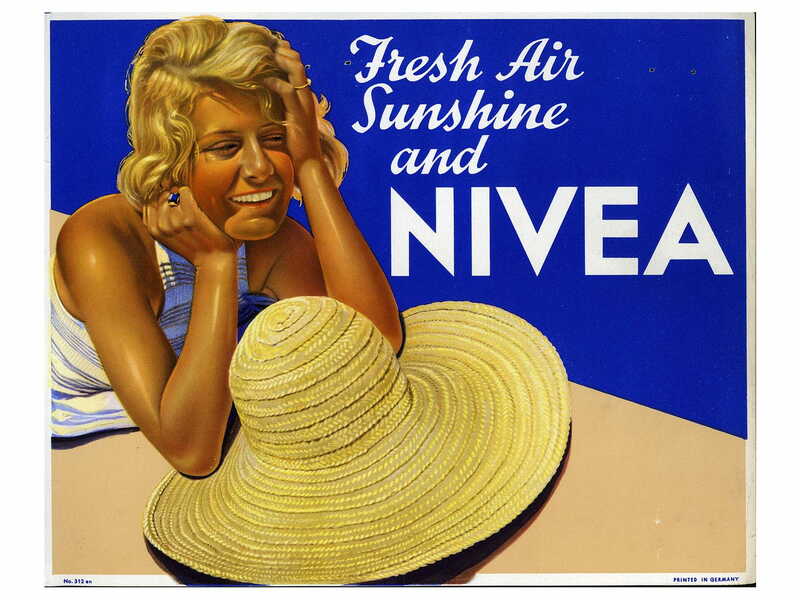 The name NIVEA comes from the Latin words “nix, nivis” and means “snow”. 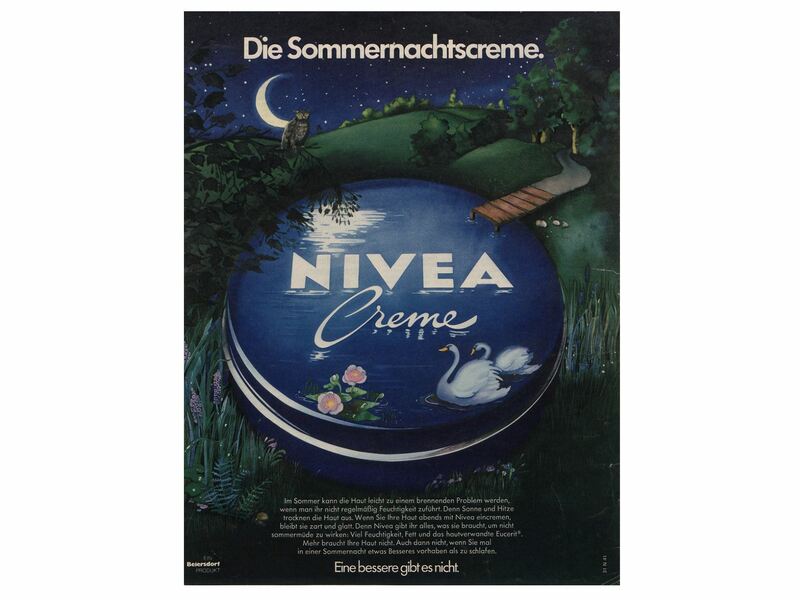 When translated, NIVEA literally means “snow white”. 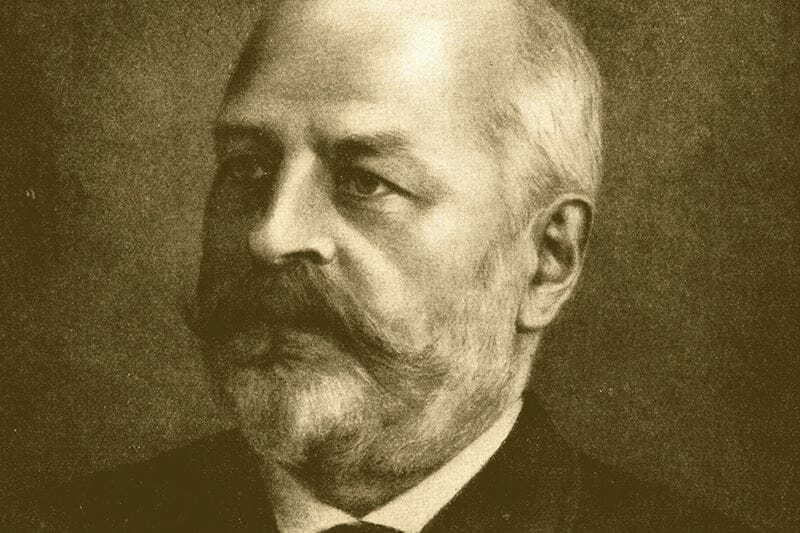 The chemist Dr Isaac Lifschütz invents the emulsifier “Eucerit”, which has the ability to produce a stable water and oil mixture. 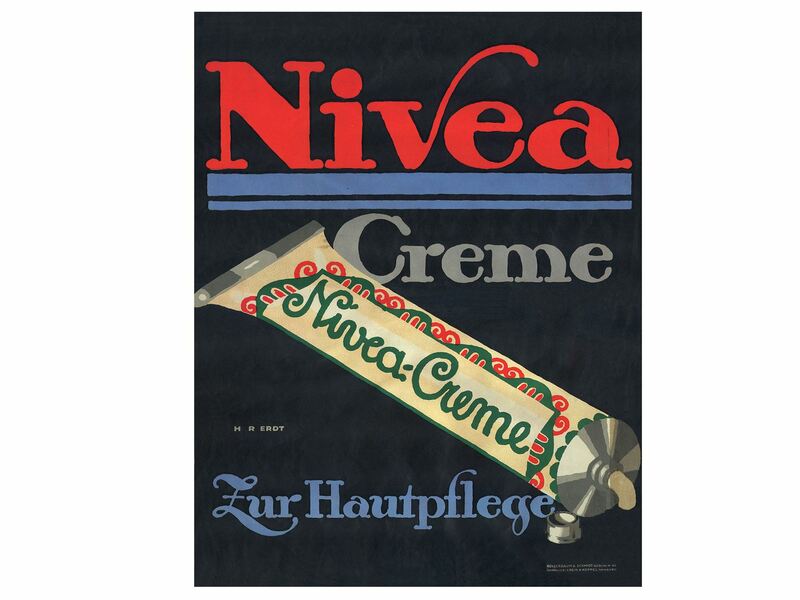 Pharmacist and entrepreneur Dr Oscar Troplowitz recognises its potential and together with dermatologist Prof. Paul Gerson Unna develops “the mother of all creams” – NIVEA. 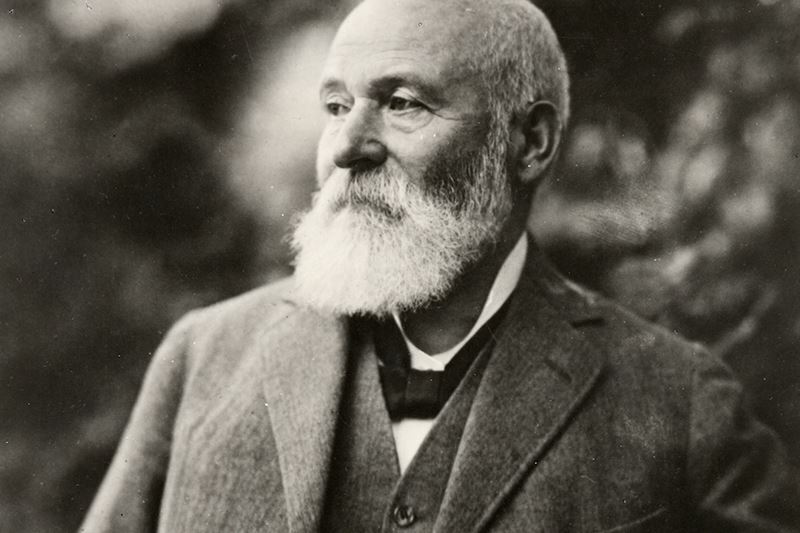 Following in the wake of its success, the range expands – soon there is talc, soap and hair milk. 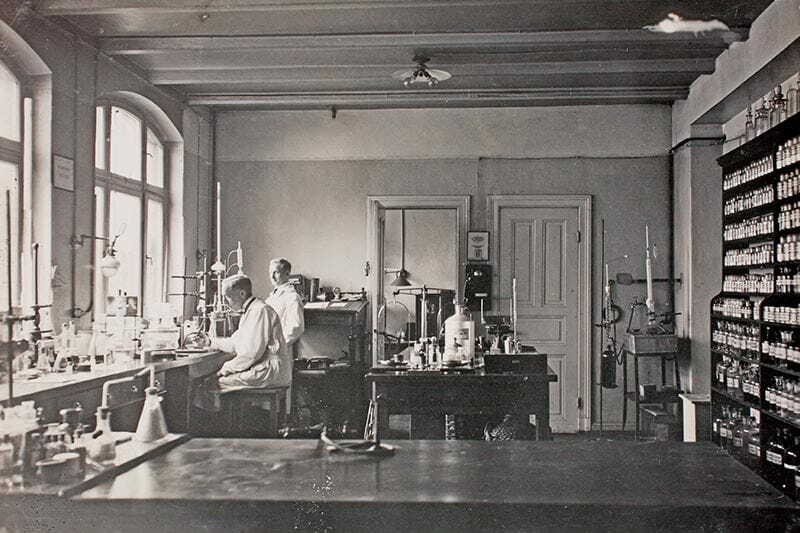 In keeping with the spirit of the three researchers, more than 500 employees work in research and development with us today. 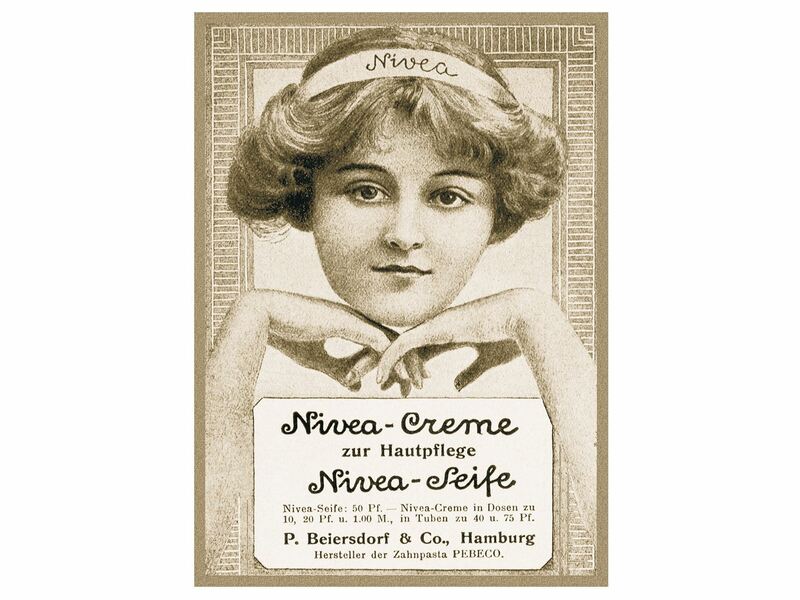 Over the years, our commitment has led to many advances in skin care that are now taken for granted. Ocean liners and the first seaplanes connect countries and continents, making long-distance travel easier and enabling expansion into international markets. The newly founded Beiersdorf seizes this opportunity: just three years after its launch, NIVEA Creme is available on every continent. By now, 42 percent of its sales is already generated abroad. 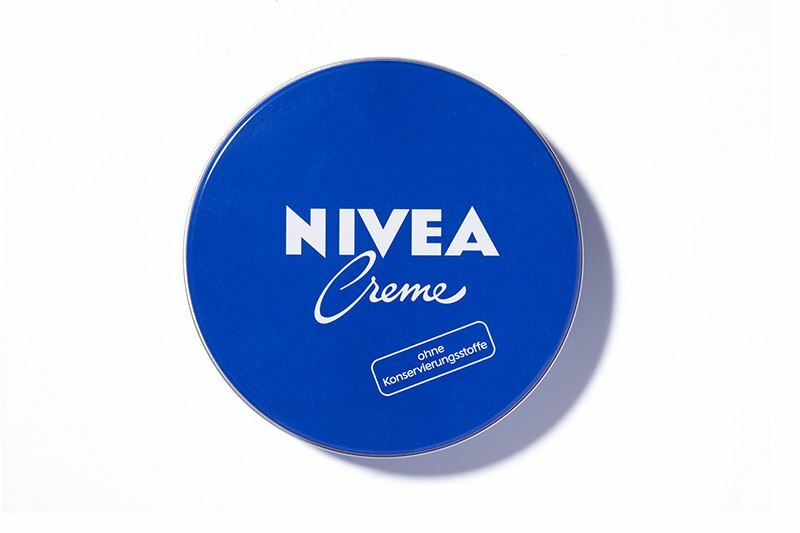 NIVEA Creme’s stable formula allows it to withstand long journeys in different climate zones. 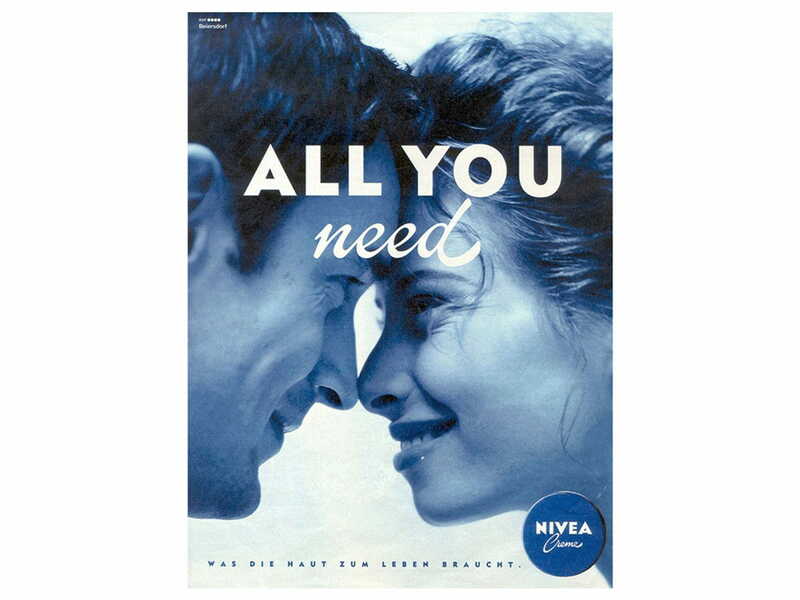 Today NIVEA is available all over the world, in over 200 countries. 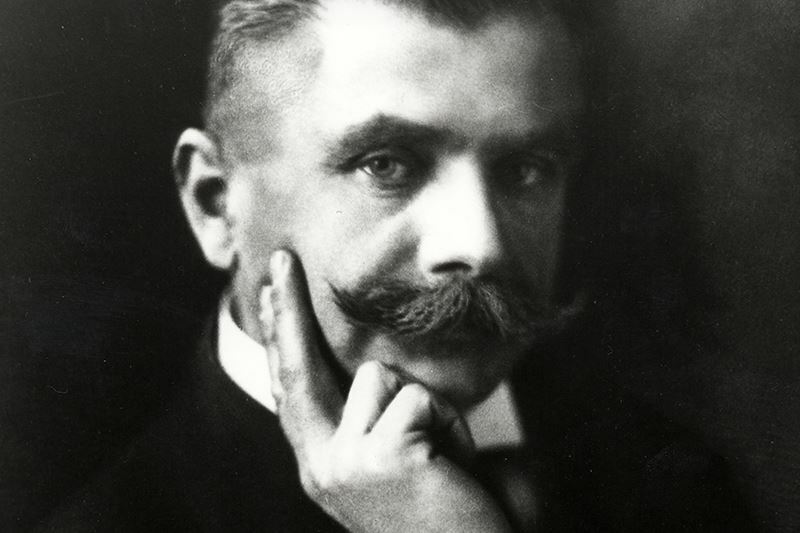 It's not just fashion-conscious women in their 20s and 30s who characterise the era – the man of the world wears a moustache. 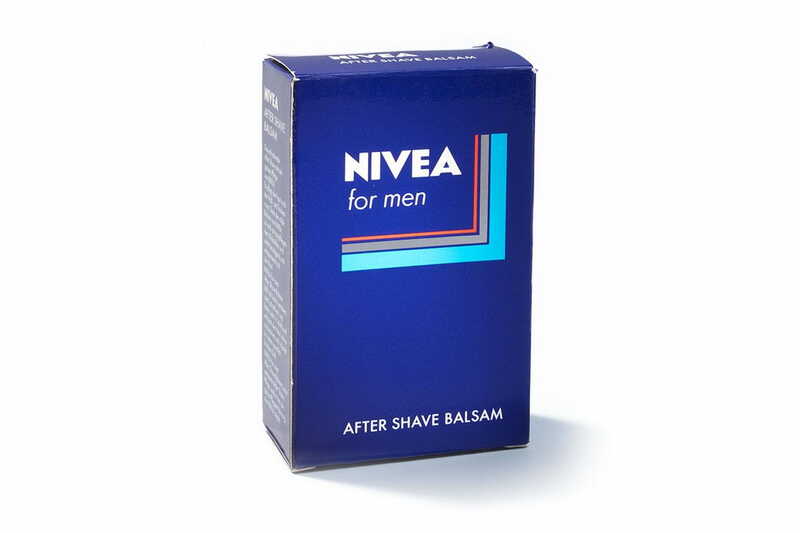 NIVEA recognises the need for caring for male facial skin before and after shaving, and their shaving soap becomes the first product specifically developed for men. Sport and leisure activities become more and more popular in society. 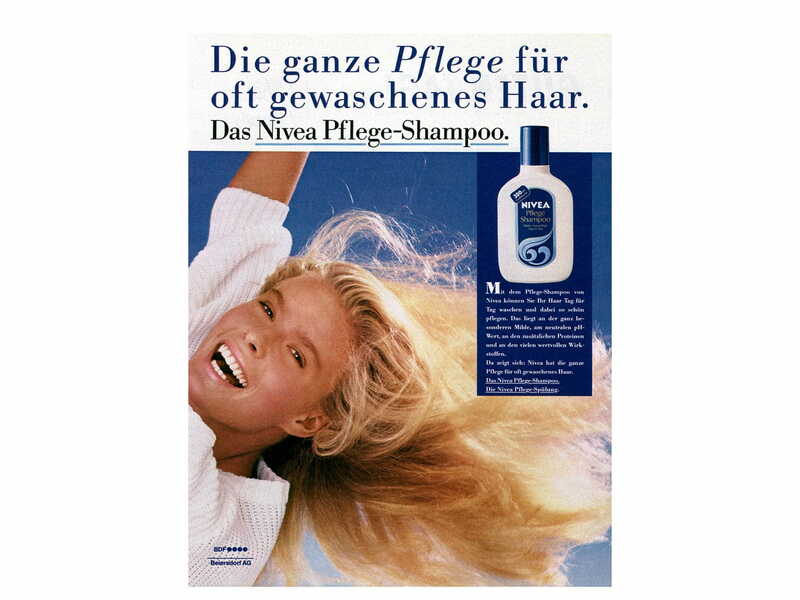 The traditional, aristocratic pallid complexion is replaced by a desire for vitality and a light tan. 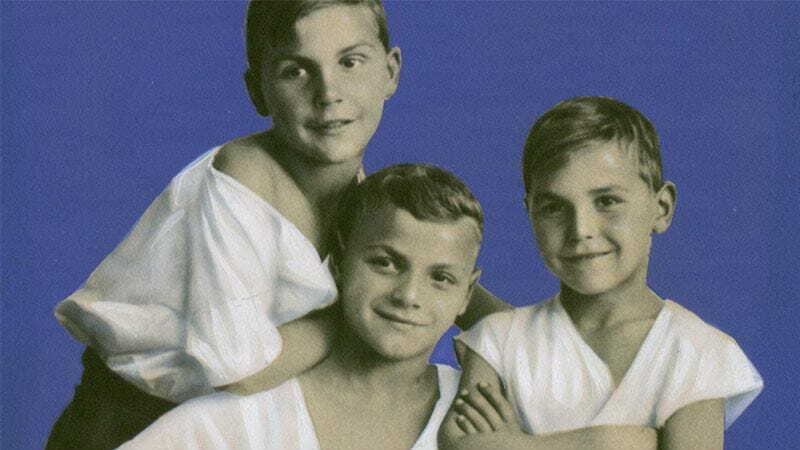 Quite by chance, Juan Gregorio Clausen, Head of Advertising at Beiersdorf, discovers three cheerful, cheeky, fresh-faced young brothers, and in 1924 the NIVEA Boys become the new stars of NIVEA advertising. 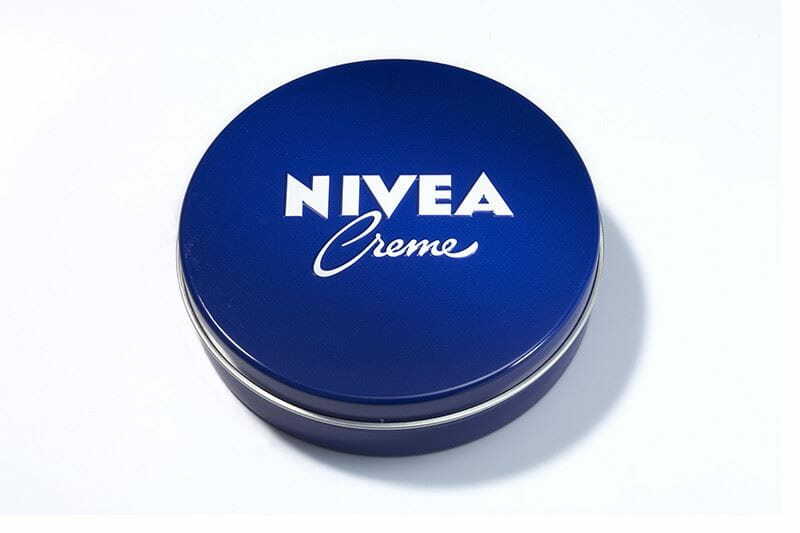 At the same time, a new design concept makes its début: NIVEA appears on the famous blue tin, which remains iconic of the NIVEA brand today. Although nowadays reality television shows like “Britain’s Got Talent”, “The X Factor” or “Britain's Next Top Model” are commonplace, this kind of talent competition was something completely unknown to the people of 1925. 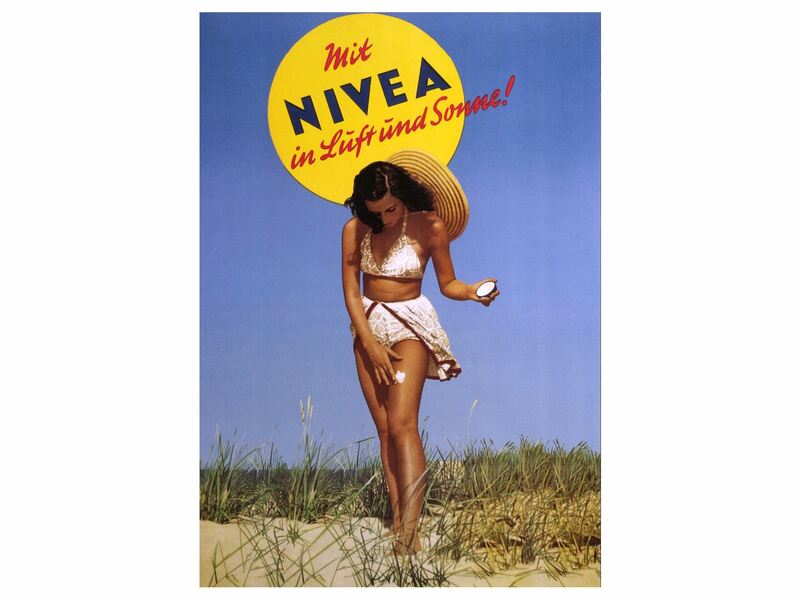 So when NIVEA placed an advertisement in a Berlin newspaper and announced a nationwide search for three NIVEA Girls, it caused quite a stir with the public. 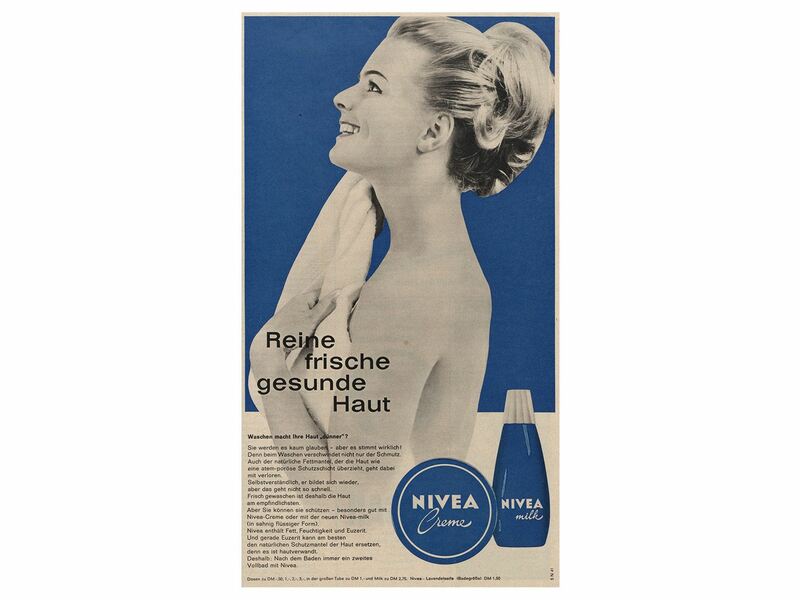 Even more so because NIVEA was not looking for glamorous models but the girl next door: “We are not looking for ravishing beauties, glamour girls dressed for a ball or fashionably groomed ladies but marvellous young girls who look healthy and natural and fresh.” A young mother from Flensburg in northern Germany, Mrs Fröhlich, saw the advertisement and thought that her three daughters Margot, Elfriede and Hertha fitted the description perfectly. When their father found out about the plan, he made it clear that he did not want to see his daughters as “poster girls” – and so their mother went ahead and entered them without telling him. 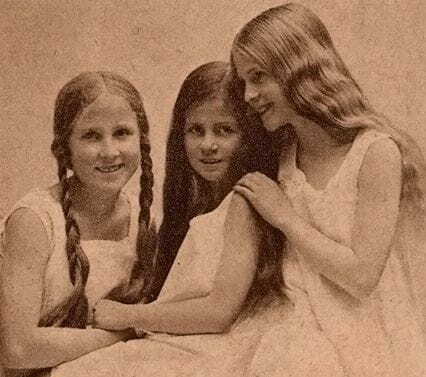 The girls were lucky that she did so, because in the end the Fröhlich sisters beat more than 1,000 other girls who had also participated in the competition. 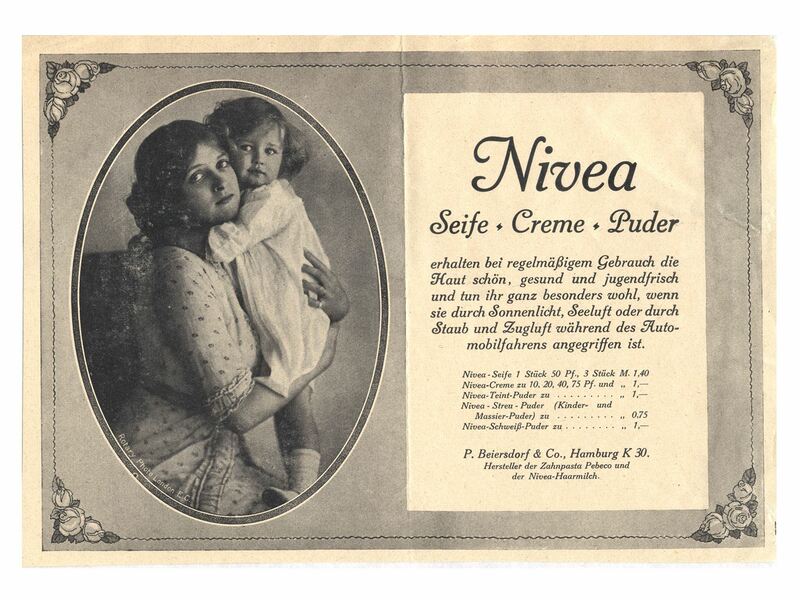 It even turned out that the family hadn't yet heard of NIVEA because they had only recently moved to Germany from Samoa, where NIVEA products were not available. 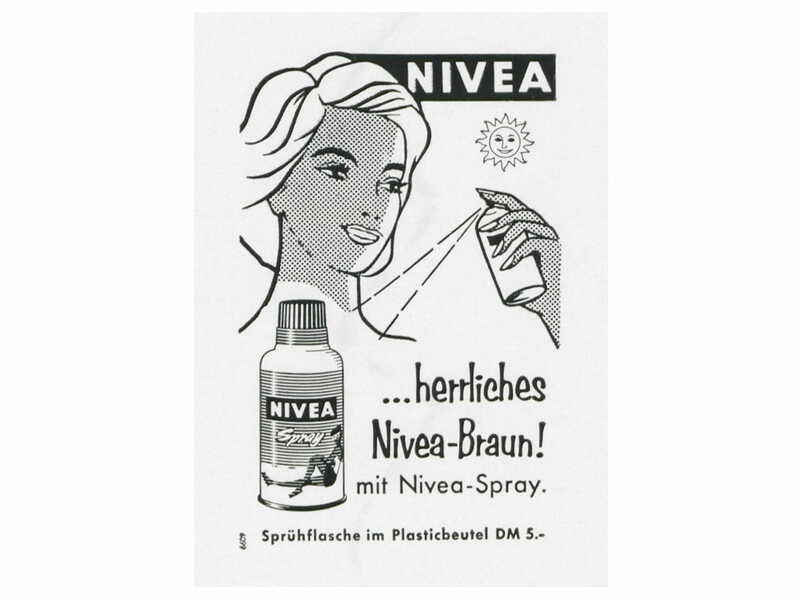 The proud Mr Fröhlich soon warmed to the idea that his daughters should become the NIVEA Girls, and so they became the stars of the new NIVEA advertisements. 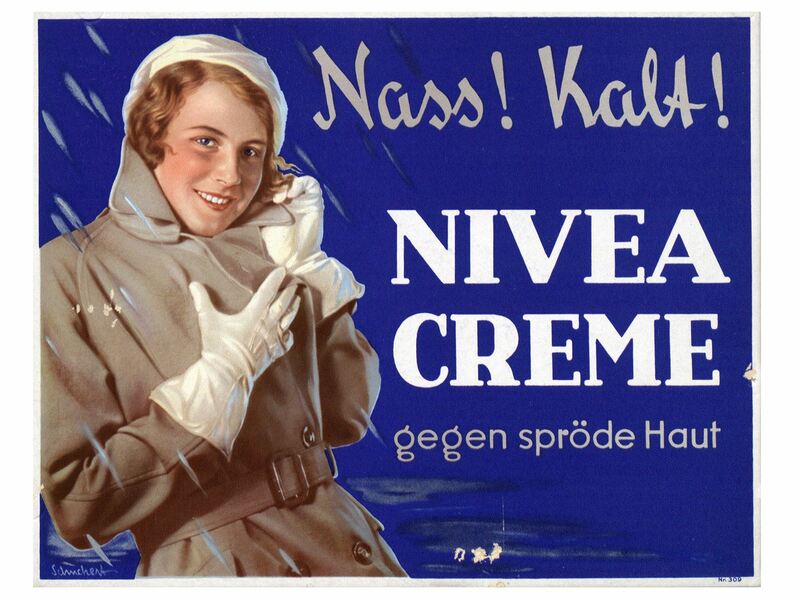 And just like the NIVEA Boys before them, it was not long before the Fröhlich sisters were also greeted with a cheerful “Hello NIVEA!” wherever they went. 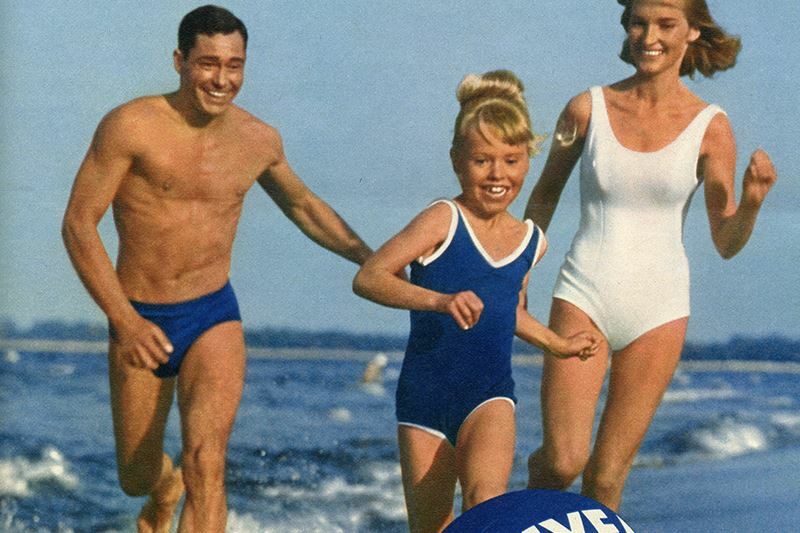 The 1950s are bubbling over with regained vitality, optimism and dynamism. Growing prosperity makes it possible for more people to travel. Owning your own car makes people mobile, and the most popular destinations are bathed in sunlight. 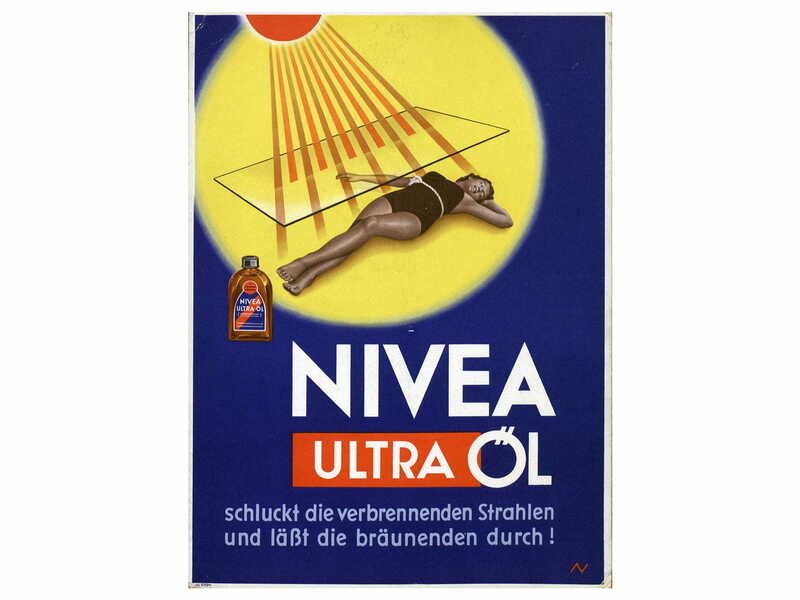 The NIVEA research department has already been doing extensive research on the effects of the sun's rays on the skin, and so now is the perfect time to develop and launch the Ultra-Oil Spray - something entirely new. 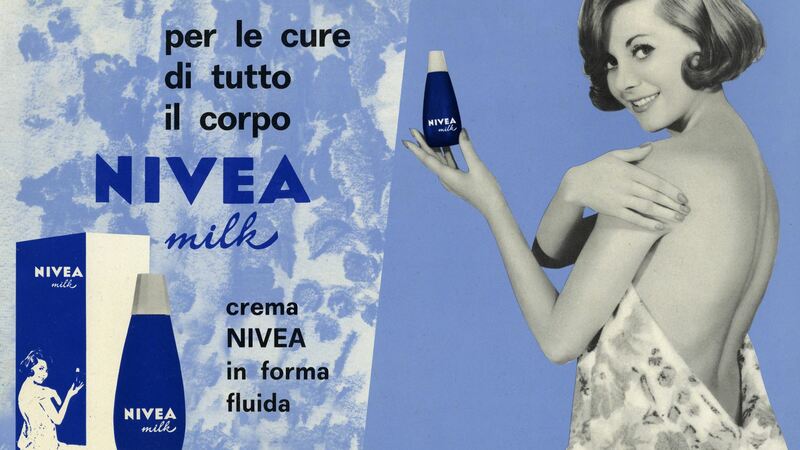 The straightforward application and pleasantly light feeling the spray leaves on the skin reflects the liberating spirit of an entire generation. 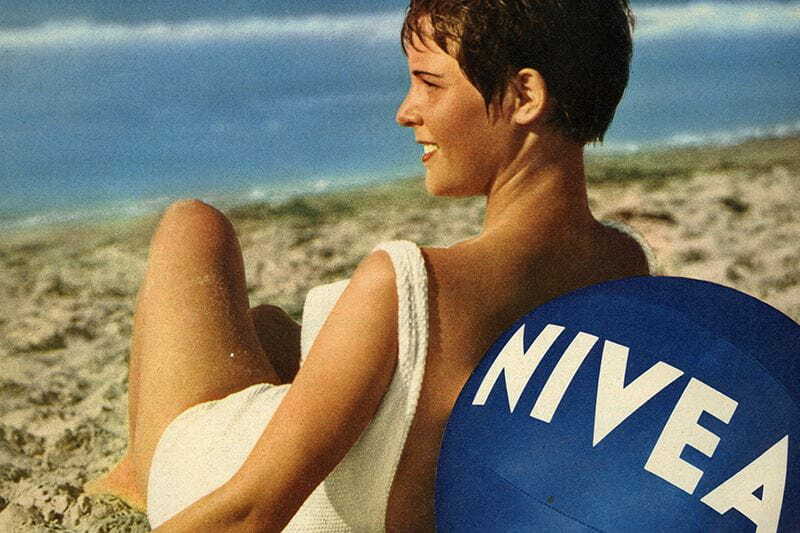 The NIVEA ball becomes the perfect holiday accessory. Easy to store and even easier to inflate, it provides fun for the whole family. Over the past 40 years we have produced over 20 million balls, and all over the world people know and love them. The 1960s is an era of rebelliousness. More and more women also assert themselves in their family life and at work. They have their own interests and not so much time for beauty regimes. 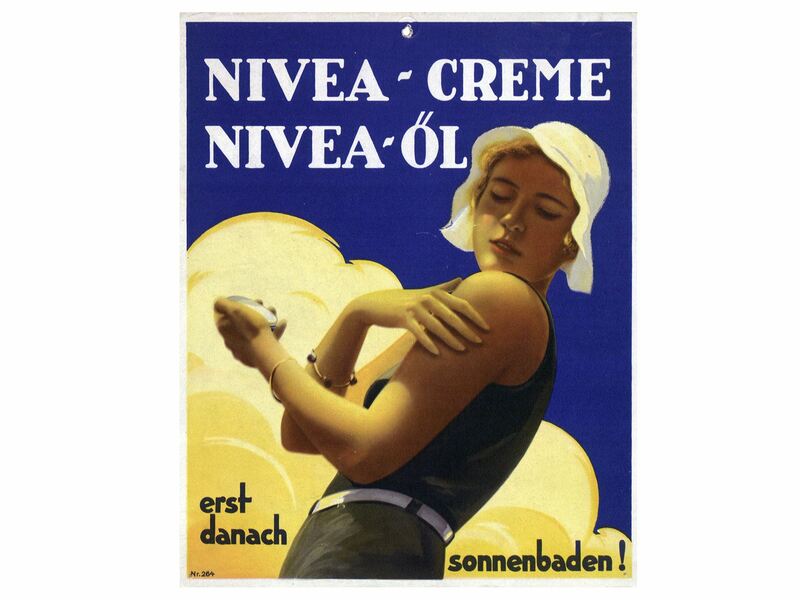 NIVEA produces NIVEA Milk, a new type of emulsion that revolutionises skin care. 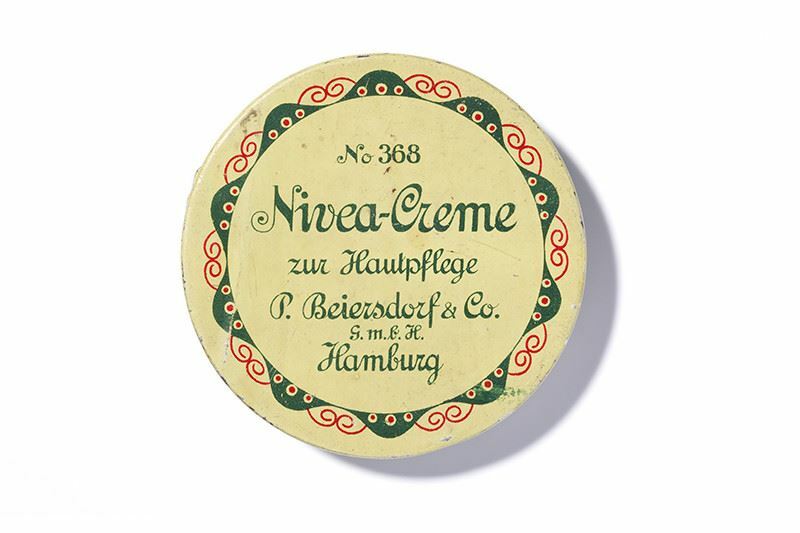 The “liquid cream” is easy to apply and quickly absorbed, and at the same time ensures intensely moisturised skin. 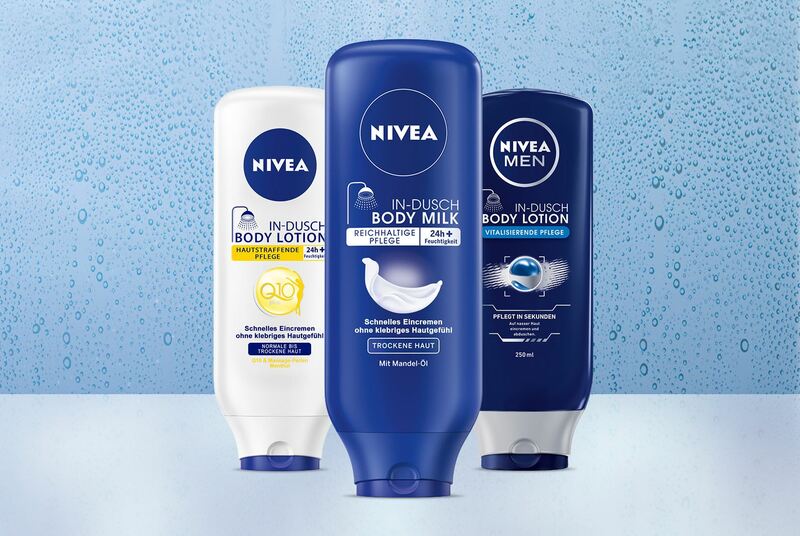 NIVEA also makes modern family life easier in another area: in keeping with the baby boom, the “Baby Fine” range of care products is launched to protect delicate baby skin. With the new NIVEA Baby product range, new parents are able to care for and protect the delicate skin of their newborn infants. Our product range for babies includes powder, bath products, cream, soap and cotton buds – and expands further in the 1990s. Women are now doing the same jobs as their husbands, but that doesn't mean they have to neglect their beauty regime. 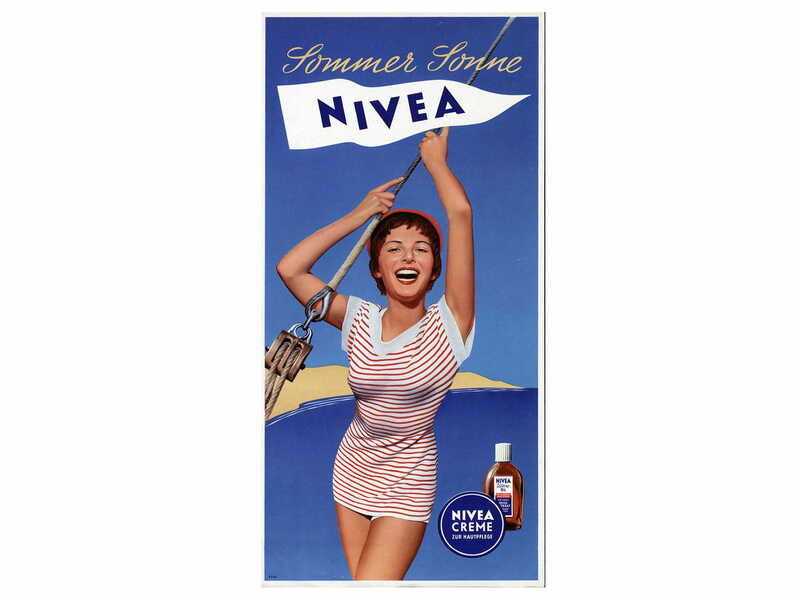 With NIVEA Milk, introduced in 1963, NIVEA pampers the entire body – quickly and easily. Today it is normal for men to choose from a vast selection of skin care products. 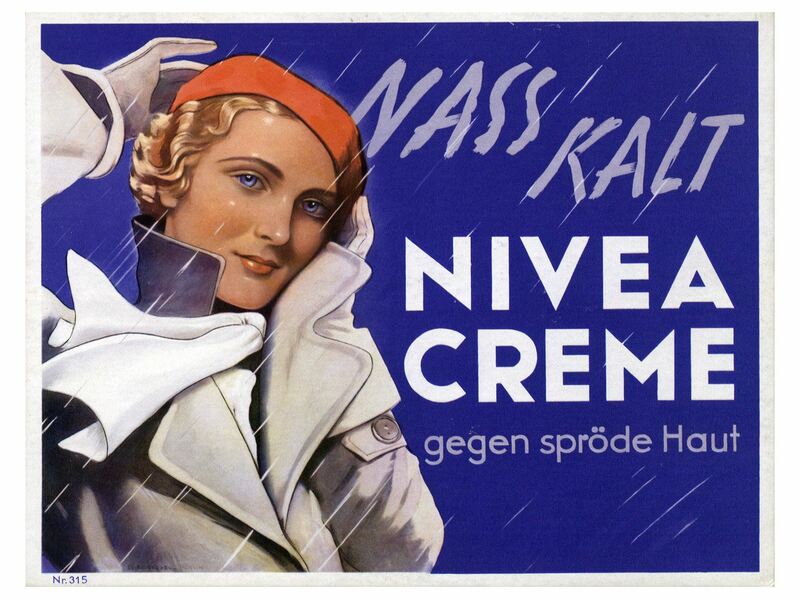 But 90 years ago, skin care for men consisted of little more than soap and water. 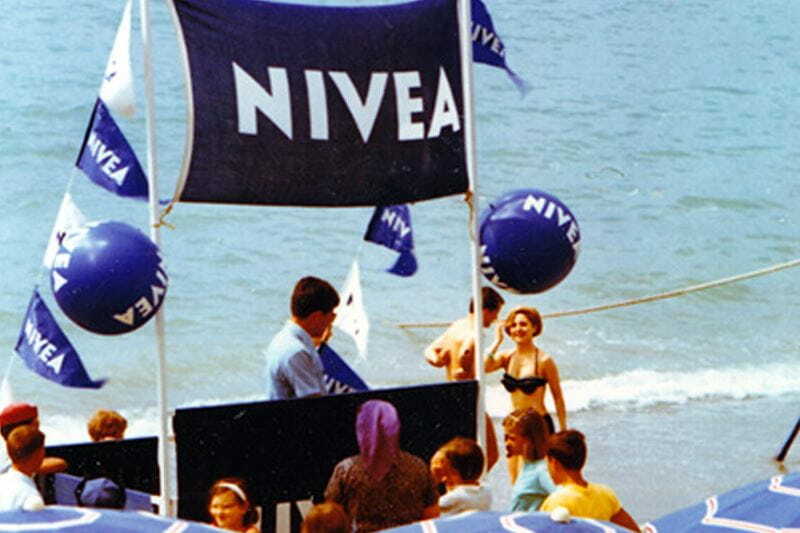 NIVEA made a significant contribution to changing that. 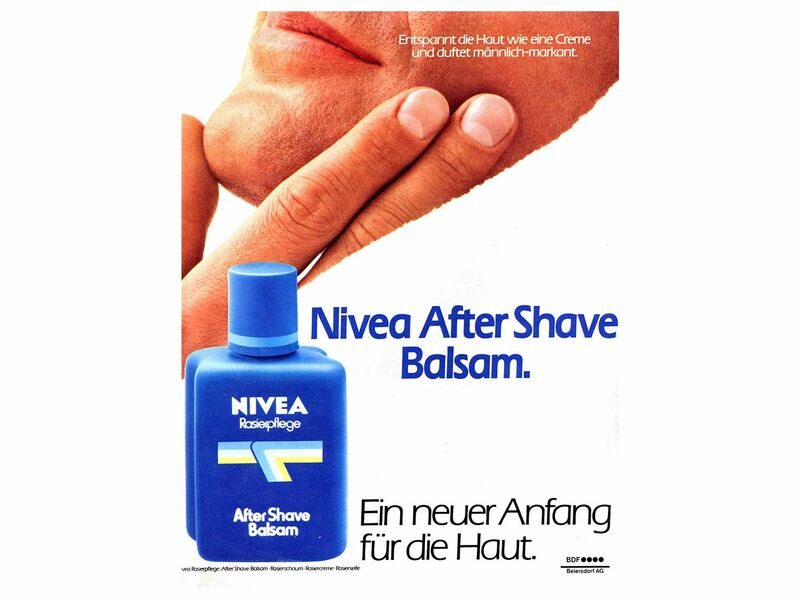 Following its shaving soap and shaving cream, NIVEA once again sets the trend in 1980 with its alcohol-free Aftershave Balm. The mild aftershave balm quickly becomes a favourite among men, which just goes to show that men wanted and needed their own products. The next big innovation follows in 1986. 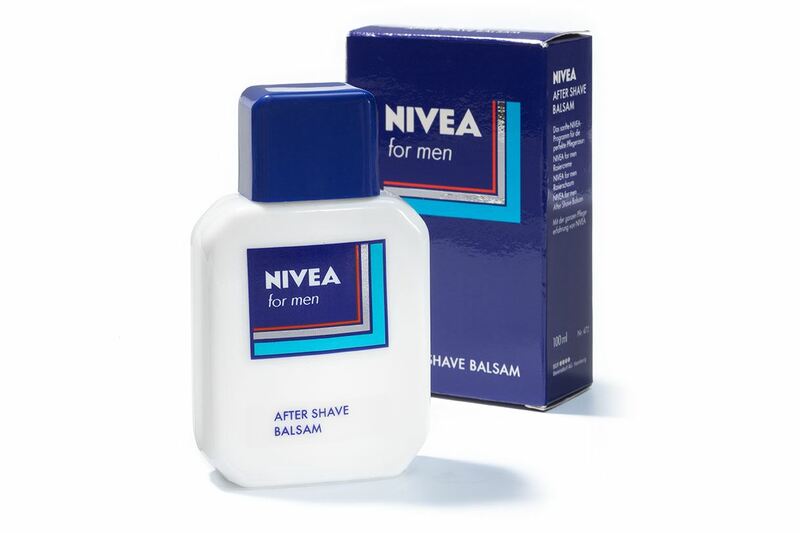 The first skin care range aimed exclusively at the needs of men's skin to get a foothold in the bathroom is NIVEA MEN. Today, NIVEA MEN includes a wide range of creams, shampoos, styling products, shower and body care, facial care and anti-ageing products. 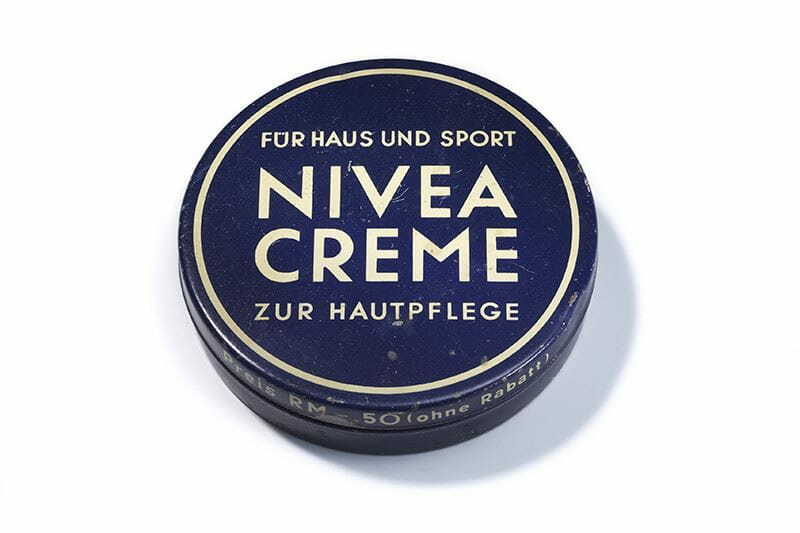 In the 1980s, NIVEA starts to develop numerous care products especially aimed at the needs of male skin – with great success. NIVEA produces the first alcohol-free aftershave product that relaxes and soothes the skin after shaving instead of irritating it. Gel, soap or cream? Adjustable electric trimmer or 3D blade system? 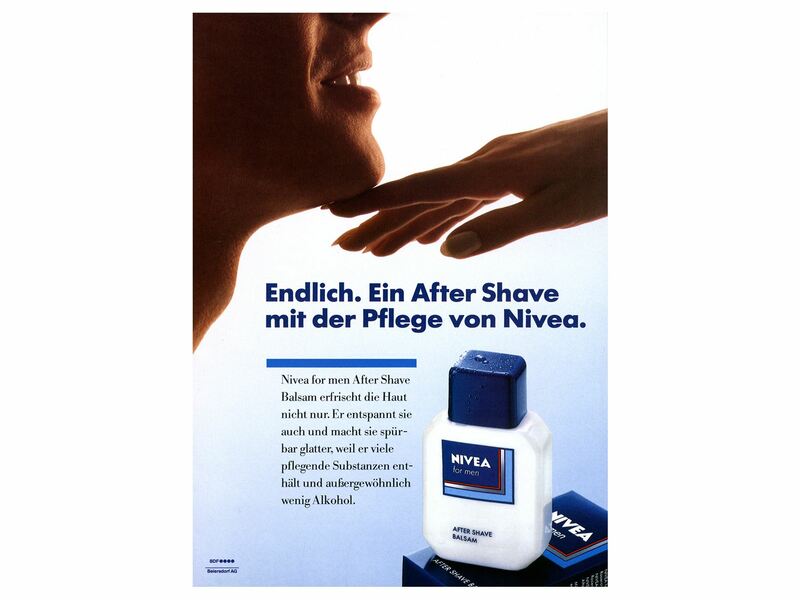 Unlike today, men of the 1980s were not exactly spoilt for choice when it came to the perfect shave – but NIVEA shaving cream was a good start. The older generation is showing signs of a new-found sense of self-confidence. They have money, feel youthful and place high demands on their quality of life. This also has an effect on skin care. 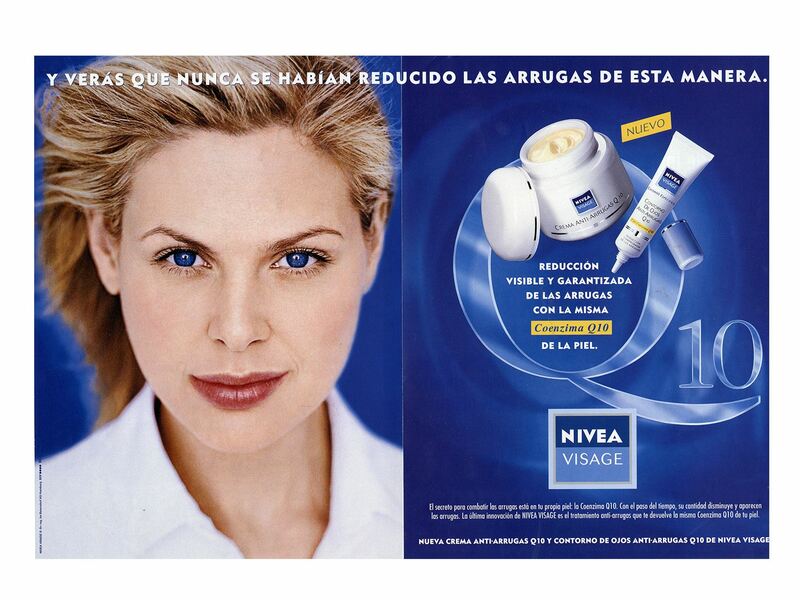 The NIVEA research division unlocks the relationship between growing older and the skin’s needs. The result is a new skin care line for mature skin. For the first time, women over 50 are addressed purposefully and directly. 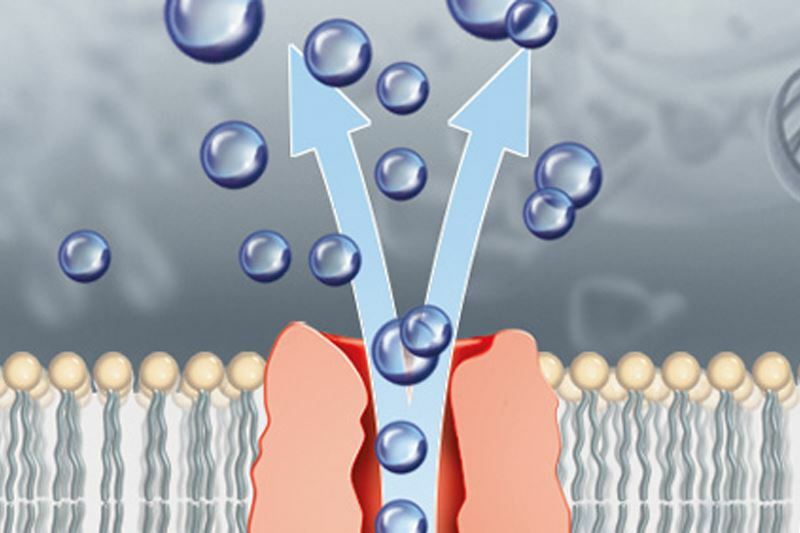 And the development continues – computer and imaging techniques become more efficient, and this results in better possibilities for taking a look inside the skin. 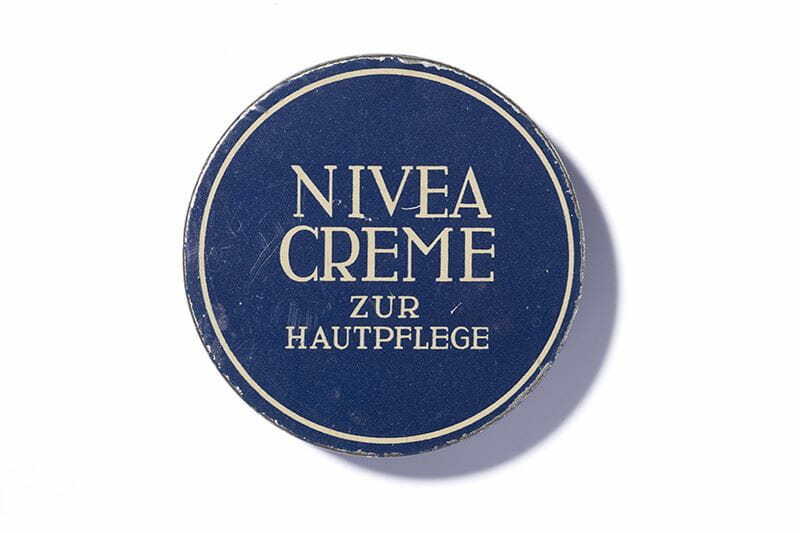 The NIVEA research division is gaining new knowledge about the structure and function of our skin, and Beiersdorf uses this information in 1998 to become one of the first companies to develop a cream that contains an ingredient found in the skin itself. 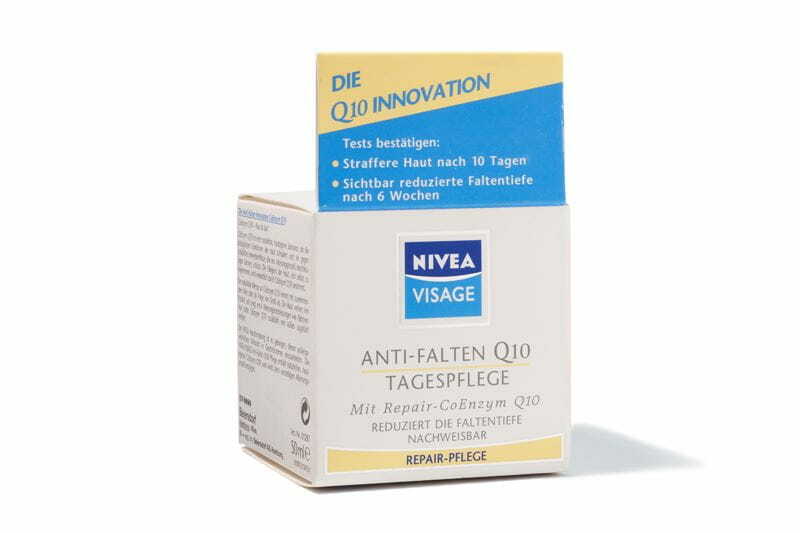 Over subsequent years, NIVEA uses the ingredient coenzyme Q10 in almost all applicable product categories – from NIVEA For Men to NIVEA Sun. Q10 becomes a highlight in many product categories. 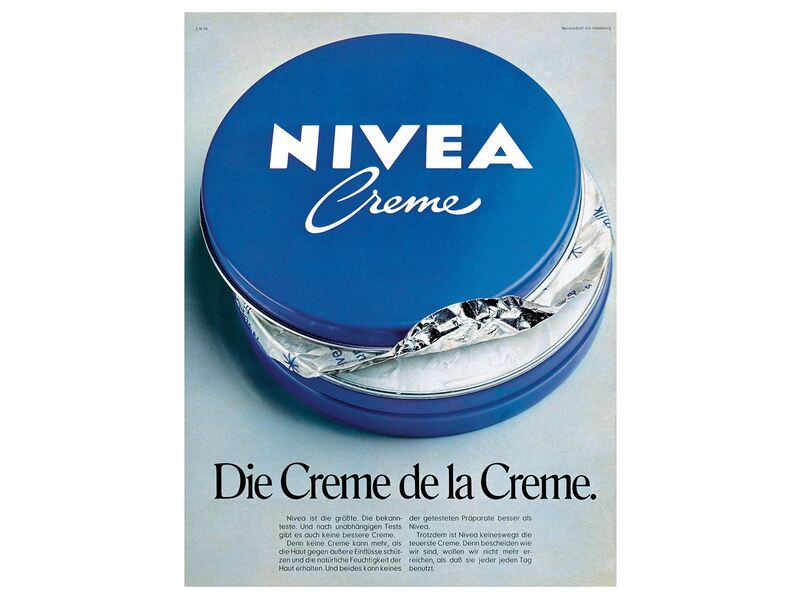 In 1998 the NIVEA researchers revolutionise anti-wrinkle care. 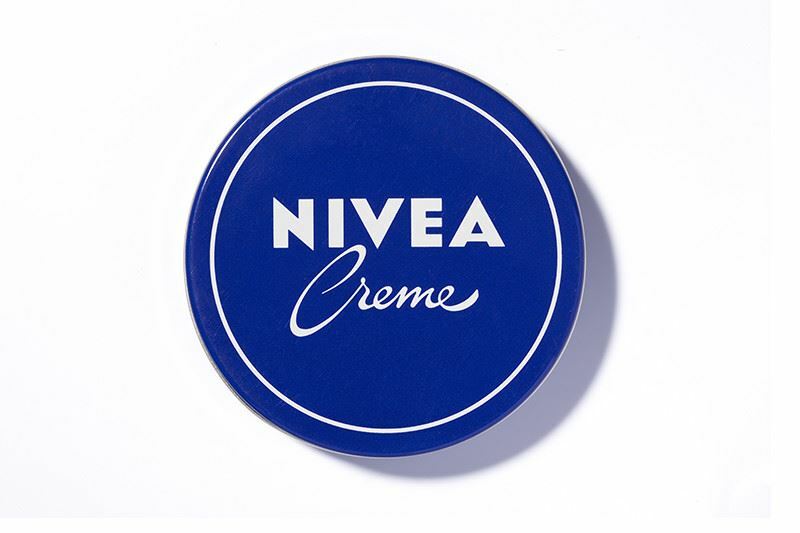 NIVEA develops a cream that contains the skin's own active ingredient Q10. Radiance and a well-groomed appearance are becoming increasingly important. However, our lifestyle is becoming faster and more stressful. 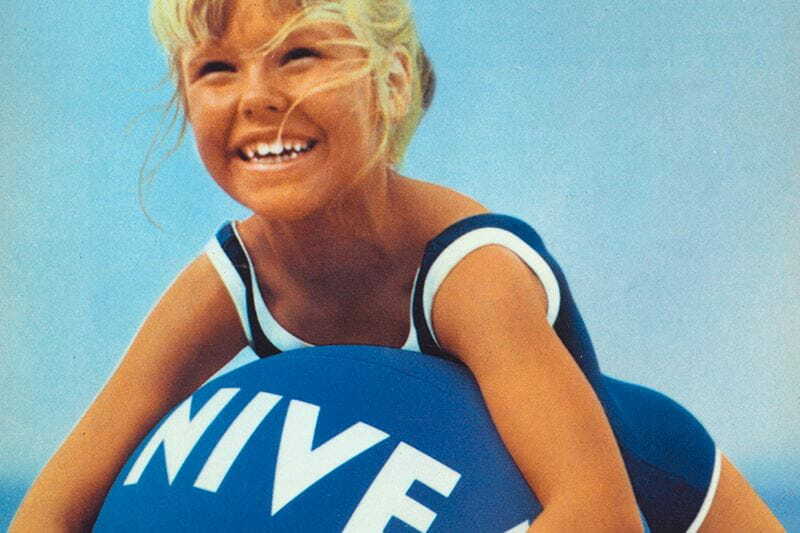 But thanks to NIVEA, no-one has to give up nurturing feel-good moments. 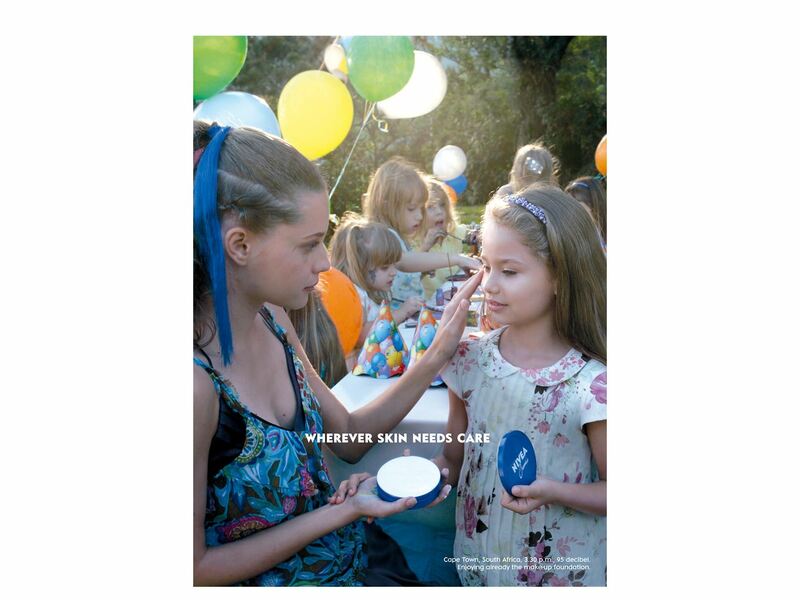 That’s because NIVEA invents a series of innovative products that provide first-class care in minimal time. 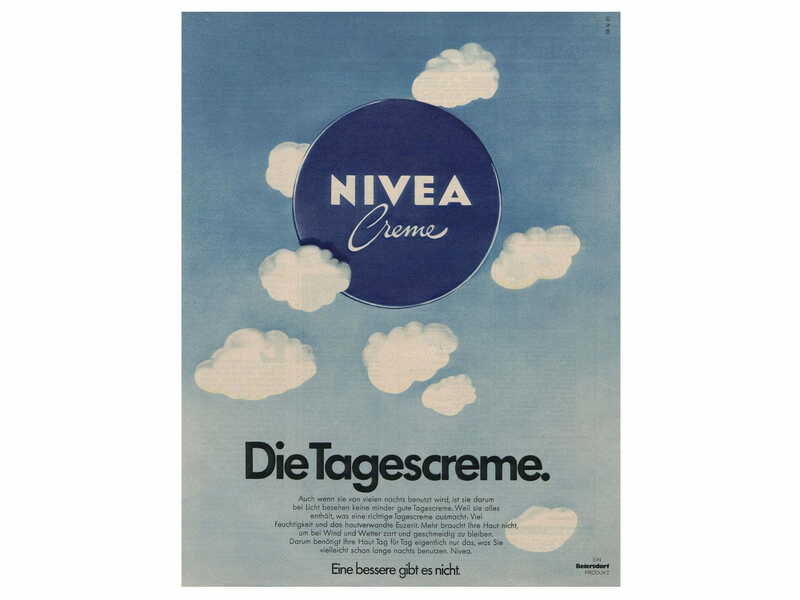 As a result, NIVEA Invisible Black & White, the first range of deodorants that leaves almost no white residue on dark fabrics or yellow stains on light fabrics, is launched in 2011. It's a real revolution! 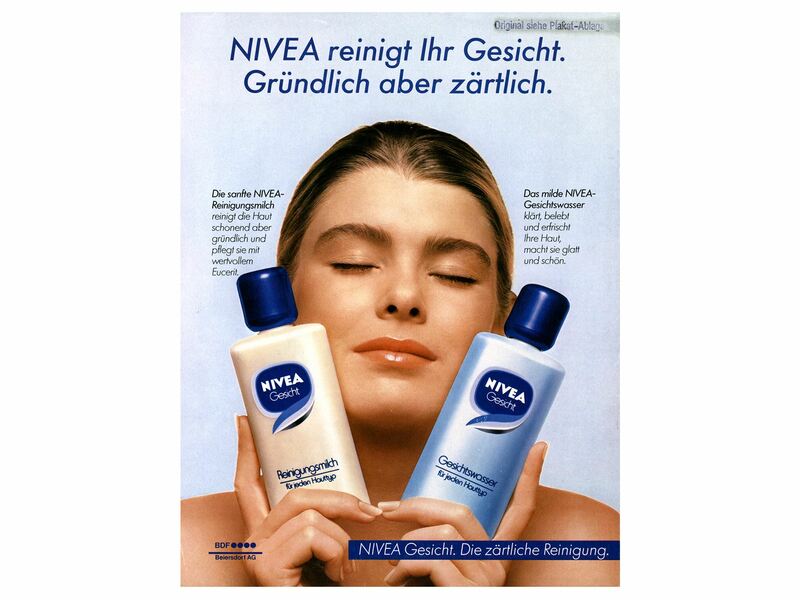 This is followed by another innovation highlight in 2014 when the In-Shower Body Lotion is introduced to the market. Adapted to the daily routine of modern women and men, it saves a great deal of time because it can be applied quickly and easily in the shower. And now every day is a Body Lotion day! 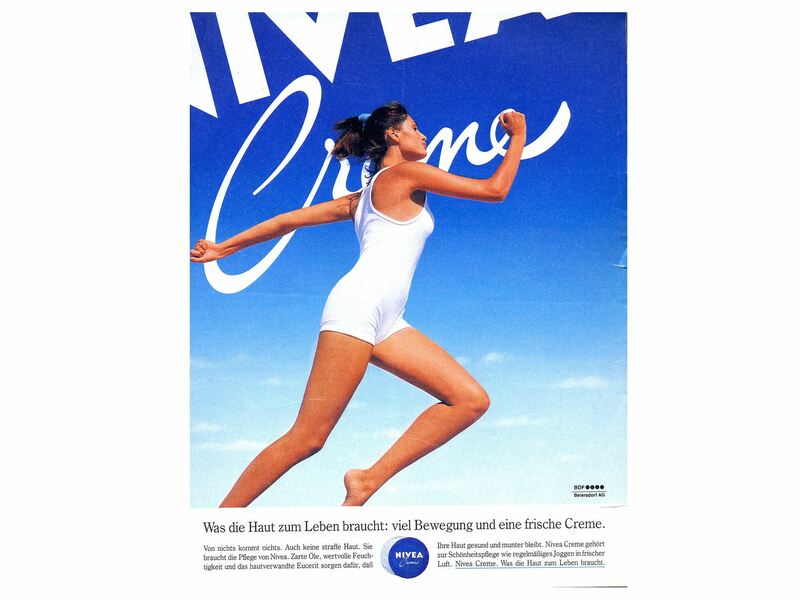 In 2011, the innovative, 48-hour, invisible deodorant for protection and care is launched: NIVEA Invisible for Black & White. This product range protects fabrics against discolouration and also meets the highest quality standards for an effective deodorant. 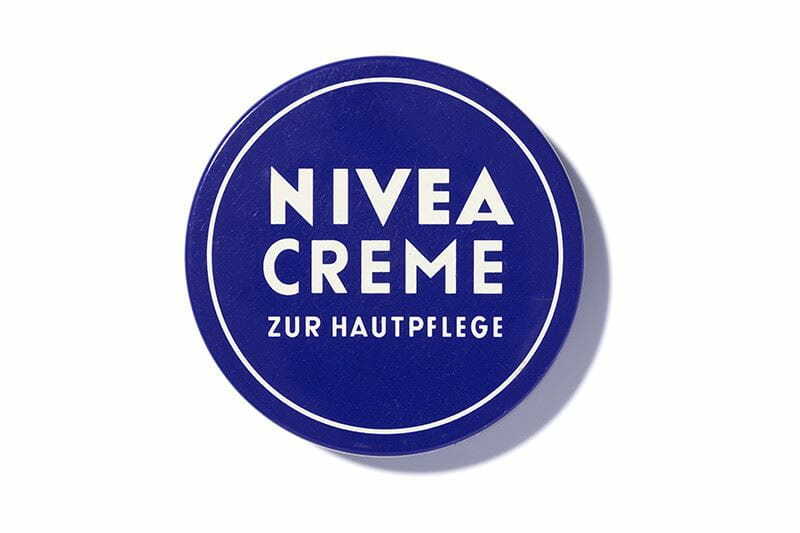 In 2014, Beiersdorf researchers develop a new way to quickly and easily apply cream: the In-Shower Body Lotion. 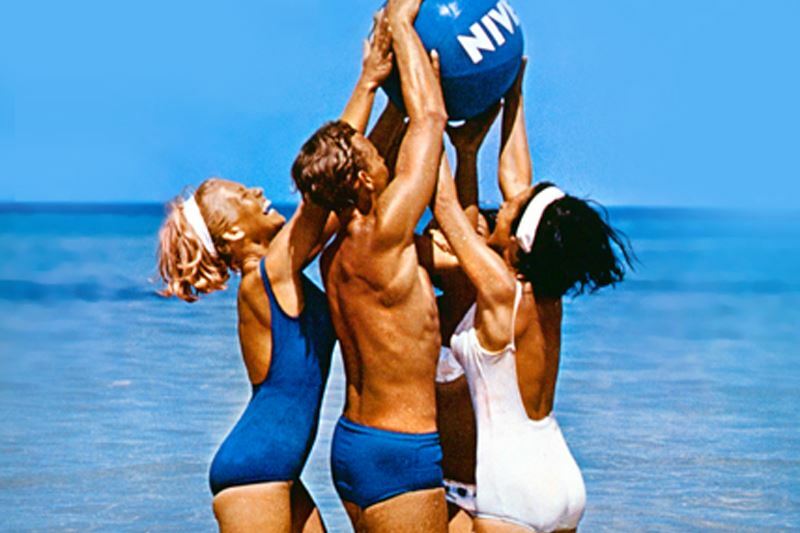 The revolutionary body care product for the shower is very well received. 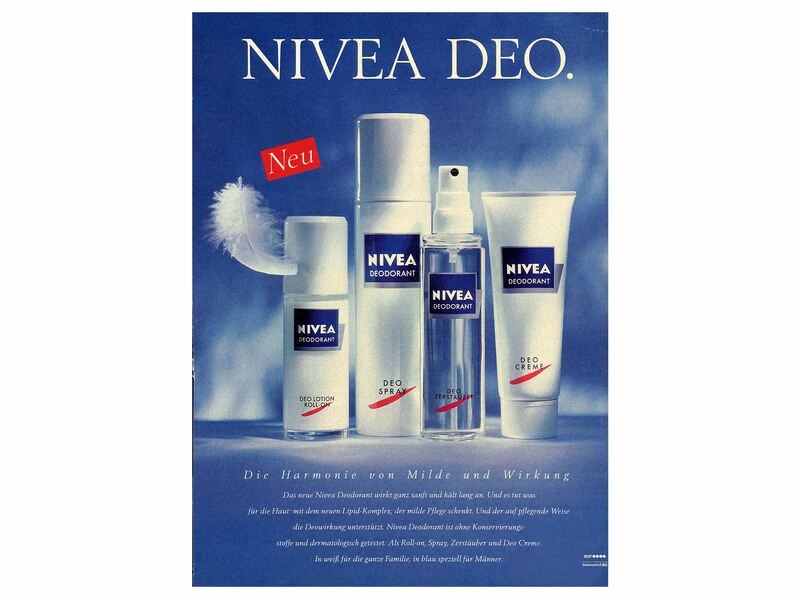 Soon after, an entire range comes into being: the NIVEA In-Shower Family. NIVEA’s research division is working on a new generation of ingredients. Because in the future, customers should be able to select high-quality, effective skin care products.